Top qualifier Jimmy Jones was up next set to tango with the "Grim Reeper" driven by Mary Reep. This one was settled at the starting line as Jones used a 3.97 at 182 to holeshot a quicker 3.91 at 176 by Reep as Jones tallied the round win. At this point with two pair remaining, Poloson's 3.87 and Billington's 3.92 held tickets to the final round, yet neither were comfortable with four strong cars set to finish up the round. Bobby Marriott and Donny McSwain fired up next as eliminations continued. 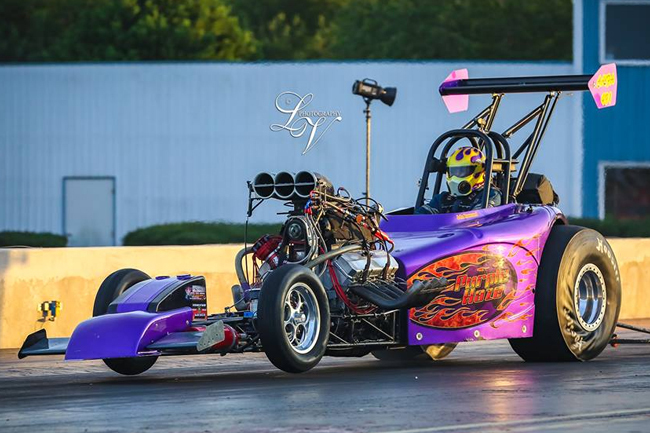 Another wicked holeshot win as Marriott's 3.96 at 191 defeated a quicker but losing 3.89 at 181 mph. To take all the icing off the cake for McSwain, his 3.89 would have advanced him to his second straight final and assured protected of his points lead, but Marriott got the win light and those precious points. 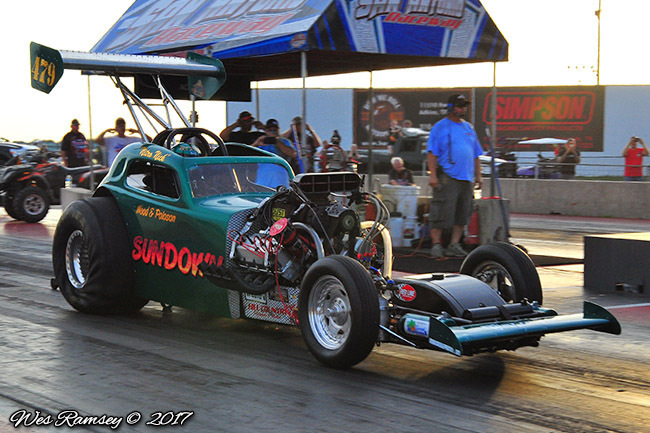 In the final pair, Ken Singleton's "High Risk" staged up with Clint Cross in the "Crossways" entry and Singleton stole the last ticket to the final with a 3.91 at 196 mph in defeating Cross' nice 3.99 at 192 as Singleton and Poloson were final round bound as the two quickest winners. Poloson and company had many friends and family in the house at their hometown race and were hoping to hoist the trophy on their own turf, while Singleton looked to finally secure his first OFAA series event win in his second career final round appearance. With nitro fumes fogging out the starting line from Poloson and rpm's screaming for the sky as Singleton staged his blown alcohol entry, it was on as the ambers flashed and Poloson took a slight starting line advantage. 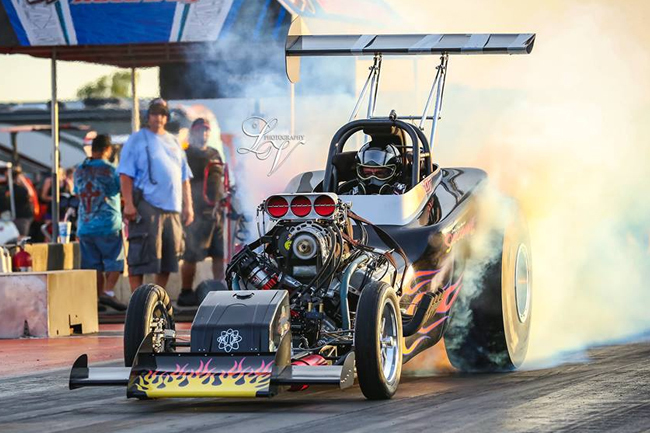 Singleton had to pedal as he drifted towards the wall and Poloson blasted through the traps with header flames high, but went under the cap with a 3.76 which gave Singleton the win with a 3.99 at 177 mph. Singleton and company secured their first ever OFAA event win and would be all smiles on their trek back to Chickasha, Oklahoma. A huge points shake up resulted as points were tabulated after San Antonio. Finalists Singleton and Poloson are now tied for first place with Marriott just one point behind in third. 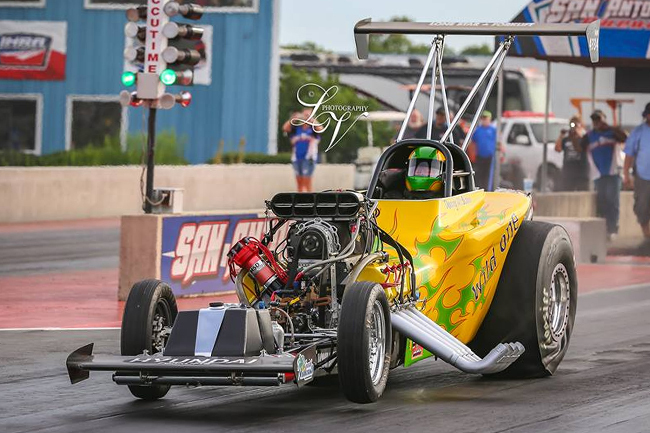 A tie for fourth place between John Broussard and Jimmy Jones has the top five runners separated by only 13 points with the next points race set for North Star Dragway on August 19th to make up the May rainout. 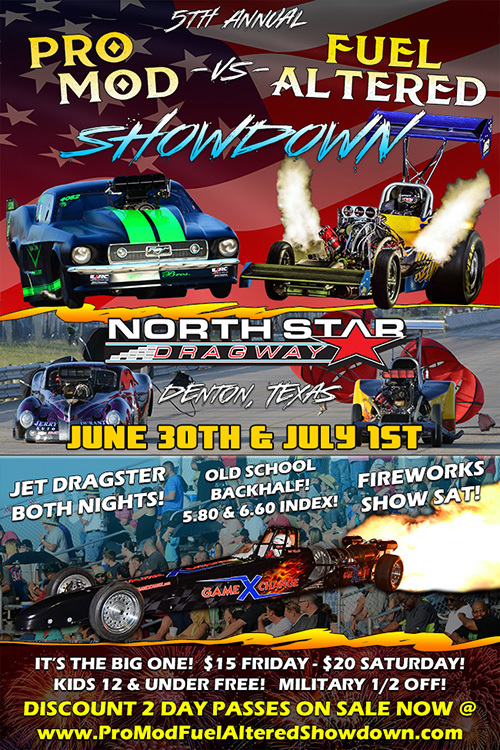 Many of the OFAA series racers will be competing in the 5th Annual Pro Mod -vs- Fuel Altered Showdown in Denton, Texas on June 30-July 1st. 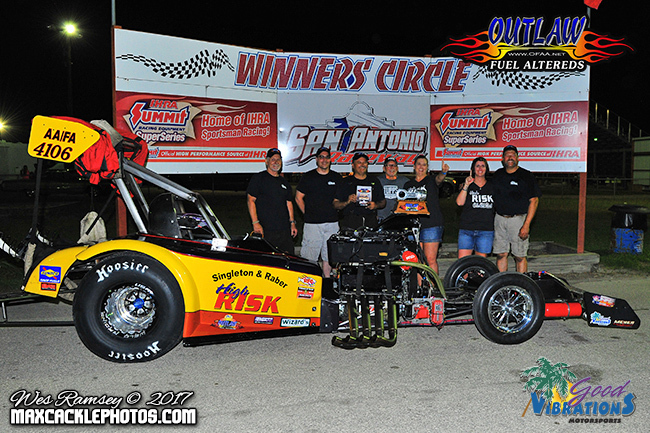 The OFAA would like to thank the staff at San Antonio Raceway for a very well-run event and great track conditions. Additional thanks goes out to series sponsors Good Vibrations Motorsports, Lone Star Forklift, Meyer Enterprises, Grim Reeper Racing and Shockwave Racing. For more information on the OFAA series visit www.ofaa.net!